HomeMolybdenum AlloyWhat are the uses of Molybdenum and Molybdenum Alloys? All kinds of human tissues contain molybdenum, which is a silver-white metal with the high melting point. Molybdenum is widely used in all works of life. In the metallurgical industry, molybdenum is not only an additive for the production of various alloy steels, but also can be combined with tungsten, nickel, cobalt, zirconium, titanium, vanadium, rhenium and other metals to make an advanced alloy. Molybdenum is mainly used in the iron and steel industry, most of which are directly used in steelmaking or cast iron after pressing molybdenum oxide, a few of which are melted into molybdenum-iron, molybdenum foil and then used in steelmaking. The content of molybdenum in low alloy steels is no more than 1%, but the consumption of this aspect accounts for about 50% of the total consumption of molybdenum. Adding molybdenum to stainless steel can improve the corrosion resistance of steel while improving the strength and wear resistance of iron. Nickel-based superalloys containing 18% molybdenum have the high melting point, low density, and low thermal expansion coefficient, which are used in the manufacture of various high-temperature components in aviation and aerospace. 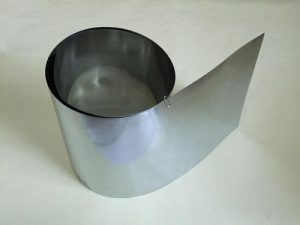 Some stainless steels containing 4% to 5% molybdenum are used to produce precision chemical instruments and equipment used in the seawater environment. Alloys of molybdenum, nickel, and chromium are used to make metal components for aircraft, as well as corrosion-resistant components for locomotives and cars. Alloys of molybdenum, tungsten, chromium, and vanadium are used to make components or parts for warships, tanks, guns, rockets, and satellites. Molybdenum is widely used as heating material and structural material of a high-temperature electric furnace, as well as the large electrode and grid electrode, semiconductor and electric light source material of vacuum tube. The thermal neutron capture cross section of molybdenum is small and has high permanent strength, so it can also be used as the structural material of nuclear reactors. In the chemical industry, molybdenum is mainly used as the lubricant, catalyst, and pigment. Molybdenum disulfide is widely used as an additive to oil and grease due to its laminar crystal structure and surface chemical properties, and good lubrication performance under high temperature and pressure. Molybdenum is resistant to high temperature. Pure molybdenum wire is used in the high-temperature electric furnace, EDM and wire cutting, and molybdenum sheets are used to make radio equipment and X-ray equipment. 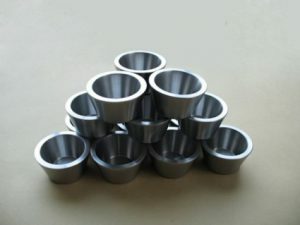 Molybdenum crucible ablation mainly used for the gun bore, rocket nozzle, tungsten wire bracket of the electric lamp. Adding molybdenum to alloy steels can improve the elastic limit, corrosion resistance, and permanent magnetic properties. Molybdenum is one of the seven micronutrients that plants need for growth and development, and plants cannot survive without it. Molybdenum is one of the essential micronutrients used in agriculture as a micronutrient fertilizer, and animals and fish need molybdenum as much as plants do. Stanford Advanced Materials supplies high-quality molybdenum products to meet our customers’ R&D and production needs. Please visit http://www.samaterials.com for more information.